Connop and Connop Medical Services are a family business. The Directors Ian and Dorothy are married and have worked together right from when they first met at the Military Hospital in Catterick and through their time in the NHS to the present day with their own company. Ian is a Paramedic with a further background in Education and Management. Dorothy is a Nurse with specialties in Coronary Care, Primary Care, Management and Clinical Education. The company has grown quickly and achieved recognition for quality and professionalism and we firmly believe this is due in part to our ethos being different to other companies in that profit is not our first motivation. We enjoy proving time and time again that a private medical service provider can have just as good and in some cases better standards of care than some statuary organisations. You deal with the same people at point of contact, we build good working relationships with our clients, and in some cases genuine friendships all built on trust, honesty and professional respect. We really do care about our quality of care and not just the bottom line. Our staff are highly qualified and experienced. Being well known and respected in their field of expertise both locally and in some cases nationally, you can be sure they are motivated and happy to give help and advice and due to nature of their work they are CRB and POVA checked, and have a wealth and depth of knowledge to really enhance your organisation. CC Medical Services really do provide a quality service at an affordable price. We will provide all your Event Medical services including Ambulance, Paramedic and related services to any organised event and can also provide advice on Health & Safety issues. We are based in the West Midlands and provide medical cover for events across the UK. 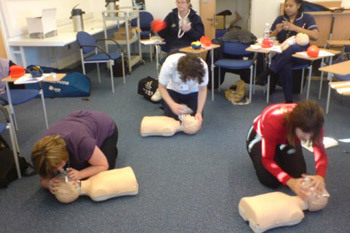 Whatever the event we can supply qualified staff including Paramedics, First Aiders, Technicians, Nurses, Psychiatric Nurses and Doctors. We also ensure Co-ordination with Police, Fire and Ambulance services as well as Local Authorities.